Black Friday Deals are Coming Up – Are You Ready? The holidays are coming up fast and you know what that means: Black Friday Sales. If you’re expecting to get a fantastic deal on a new, flat-screen, LCD, or plasma screen TV, then be sure that your living room is ready once you get that steal home. Choosing the right TV lift or flat-screen TV stand doesn’t have to be a race to the finish like Black Friday shopping. Instead, sit back and relax. 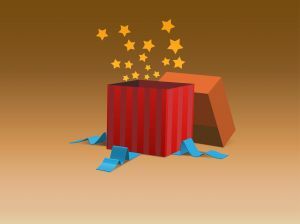 ImportAdvantage.com has you covered when it comes time to find the right entertainment furniture for your Black Friday find. At ImportAdvantage.com, we carry one of the net’s largest and most beautiful section of hardwood TV lifts and entertainment furniture so that you’ll never get caught stressing over the perfect one. From mahogany to pine, our hardwood pieces are handsome additions to any living space. Plus, ImportAdvantage.com offers these pieces and more at great prices so that you can always save a bundle – just think, there’ll be more money for holiday shopping now! Finally, ImportAdvantage.com ensures white glove delivery so that you’ll never get a damaged TV stand or lift. It’s that simple. We deliver high quality furniture at a great price – just the way it should be.